Light up the outdoors with this Philips Hue smart bundle. 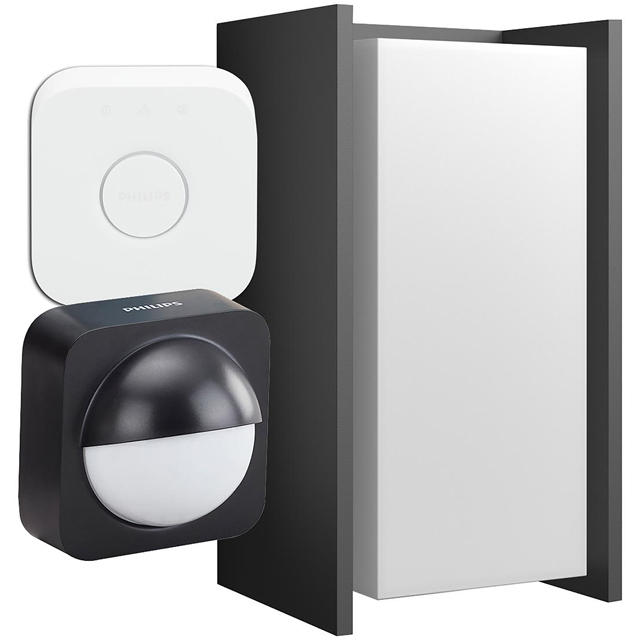 It includes a wall lantern, as well as a motion sensor, so you’ll easily find your way to your door as the light will flick on when any movement is detected. Neither of these would work without the Philips Hue Bridge, so that’s included too, meaning you can get everything up and running straight out of the box. Not only does the light provide clear visibility, you can also adjust the brightness between warm and cool white lighting to match your mood. Plus, you can remotely schedule a timer to turn the lantern on and off, or dim the brightness to set the mood. Please note, you’ll need to download the Philips Hue app, which is compatible with both Apple and Android devices.